During the days leading up to and surrounding the Super Bowl we ask every Flight Attendant to be vigilant of the situations around you. 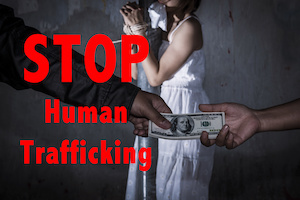 Begin now by reviewing the indicators of human trafficking available on our website.Become familiar now on how and where to report suspicious behavior. Follow United’s reporting policy and procedure, as outlined in your Link, including using cockpit communications or other methods as part of the Blue Lightning Initiative. · Ensure the term “suspected human trafficking is used when reporting your concerns to the Captain. · Review appropriate Threat Level 1 Flight Attendant guide lines and actions to take when taxiing/inflight or at the gate. · Call toll-free (866) 347-2423 from anywhere in the U.S., Mexico, and Canada. · Call (802) 872-6199 (not toll-free) from any country in the world. Report the tip online at www.ice.gov/tips.